Last year, I had 21 goals. This year, I had 7 goals. For the coming year, I’m just going to summarize all my goals in one word – self-love. I was inspired by Gretchen Rubin’s recent blog post on New Year’s resolutions. After reading her books, The Happiness Project and Happier at Home, I thought it would be fun to focus a whole year on a topic I care about. I wanted to have an overarching theme for the year too. So after much thought, I chose self-love as my project theme for the year 2016. I had three blogs. One on passion/creativity/productivity/writing, another one on animation, and the last one on my personal thoughts. I didn’t know what to focus on. Writing, animation or IT systems? I was just learning everything I could – Coding, user design, user experience, and entrepreneurship. It was only when my depression came to visit in October 2015 that I started to understand my WHY and decided to become a full-time writer. It’s funny how I had been writing for so long since I was 14 years old, but it never occurs to me that I want to be a full-time writer. Your business is a reflection of you. If you are lost, so will your business. If there was an overarching theme for the year 2015, it would have been business even though I didn’t do too well for it. However, the most valuable growth I had for 2015 was the clarity I received on my business. Business is just a reflection of self. If you are healthy, your business will be healthy too. If you take care of yourself, your business will do well too. I felt lost and unsure of myself this year, therefore my business model kept changing too. So next year, my focus will be to take care of myself. The Self-Love Project: Why Did I Choose Self-Love? I used to be a low self-esteem kid who doesn’t love himself much. It has improved over the years because I had been consuming a lot of self-help audio, video, and information. But this year, I kinda stepped away from it. I was focusing too much on building my business that I neglected myself and my feelings. And so depression came back. From reading my post, you may think that my depression is caused by not having a job or a big change in my life. But after much reflection, I realized it was more about my self-worth. Not having a job was just a trigger that opened up my past wound of not loving myself enough. So this year, I’m going to pay daily attention to loving myself and find more ways to love myself. Furthermore, after I wrote this Lifehack article, 13 Struggles That People Who Are Hard On Themselves Would Understand, one of my readers asked me how to stop being hard on yourself. My reply is self-love. If you love yourself enough, you won’t be hard on yourself. You won’t say those nasty kinds of stuff to yourself when you love yourself. You will be nurturing yourself and encourage yourself to be the best version of yourself instead. 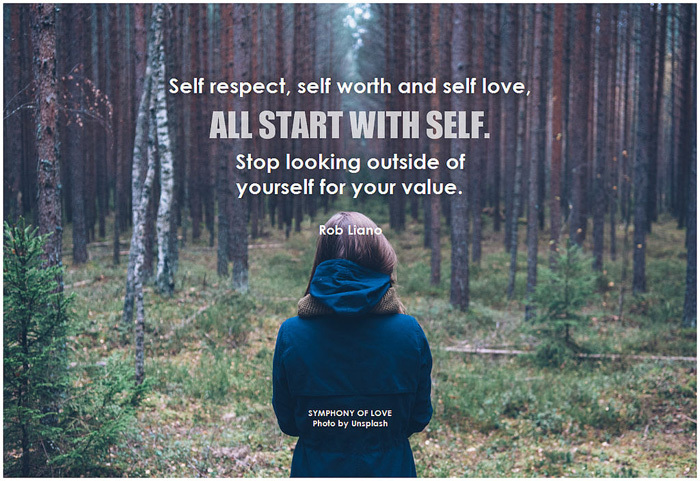 I thought it would be a good idea to share more information on self-love for the coming year and embark on this self-love challenge. What’s Up for Me in 2016? Update: The book is out. It’s called The Emotional Gift. Check it out here. I’ll be writing shorter books going forward so that I can write more books and explore more ideas. Think of it as short films vs. featured films. Shorter books are used to explore ideas while longer books are more in-depth and well-developed. I hope to write at least two short books this year, or write one short book and start on my next long book. Set a daily non-negotiable goal to keep yourself accountable. Instead of setting outcomes goals such as sell x copies of my book, read x number of books, earn $x amount this year, I wanted to set an action-orientated goal that I could be accountable for each day. Some things like selling books are beyond my control. Sure, I can improve my marketing message or partner with others. But there is still an element of uncertainty. Plus I’m bad at estimating how much time it takes to reach my goals, setting goals like selling x copies of my book by the end of the year is going to make me feel disappointed. Also, I tend to procrastinate or forget about my goals altogether when the deadlines are so far away. So this year, I have a daily non-negotiable goal instead to keep myself accountable. My goal this year is to either write for at least 3 hours a day or write a page each day. A page a day means a 365-page book in a year. This is something I can control and do every day. It’s non-negotiable. That means even if I’m going on holiday, I need to bring a pen and paper with me to write in the morning before I leave the hotel. Furthermore, I love writing and reflecting. Writing daily is a way of loving myself and it fits my theme for the year 2016 – self-love. So it’s perfect. What about you? What is your theme for the year 2016?